The American-born snowboarder Vic Wild, who is competing for the Russian national team, has won the gold medal in parallel giant slalom. 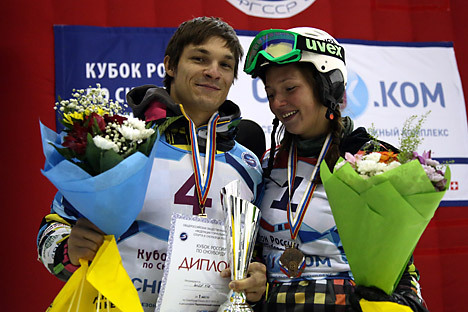 Meanwhile, his wife, the Russian snowboarder Alyona Zavarzina, has won bronze in the women's event at the 2014 Winter Olympics. Russia’s Olympians have so far won a total of 20 medals, including 5 gold, 8 silver, and 7 bronze, placing Russia 5th in the aggregate medal table.